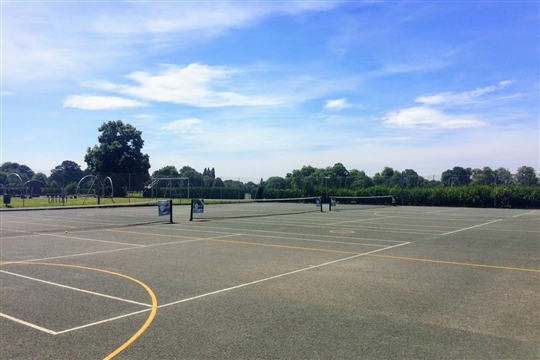 The Old Deer Park tennis courts are situated just behind The Pools on the Park Complex which is home to an array of fantastic play and sporting facilities. There are facilities for football, cricket, rugby, gym, swimming and tennis, enough to keep everyone entertained. The Old Deer Park courts are extremely accessible, situated only a 5 minute walk from Richmond train station. Richmond station not only has a national rail service but also the District Line of the London Underground. There is also a large car park at the venue. Best Tennis offer group coaching, private coaching and tournaments throughout the year and have developed an excellent reputation in the borough of Richmond. For just £50 a year, you can play up to two hours of tennis a day, all year round, with our new family membership. With courts costing £8 an hour on a pay and play basis, purchasing a membership will mean you’re likely to get your money back within weeks! So if you’d like to take advantage of this fantastic deal, please visit the membership section on the Play Tennis Richmond Home Page. Our new booking system is quick, clear and easy and allows you to make a booking up to 7 days in advance without any hassle. Simply register, select a time and date, book and pay for your court and then you’re ready to play! You can also make bookings via the ClubSpark Booker App, which you can download from your App Store on both IOS and Android phones. We look forward to seeing you on the court soon!